Where to begin? The totality of human existence. A harsh life in the unremitting cold. The binds of family. Bitter feuds and recrimination. Moments of abject violence. No, I am not talking about The Revenant. This is Rams. It’s a film about sheep farming. In Iceland. Best film I have seen this year. Hands down. The only thing the film is missing is a forced romantic subplot, and I think we can all be thankful that this is missing. But there is a nobler, dare I say a truer, love on screen. The love between man and sheep. Not in that way! 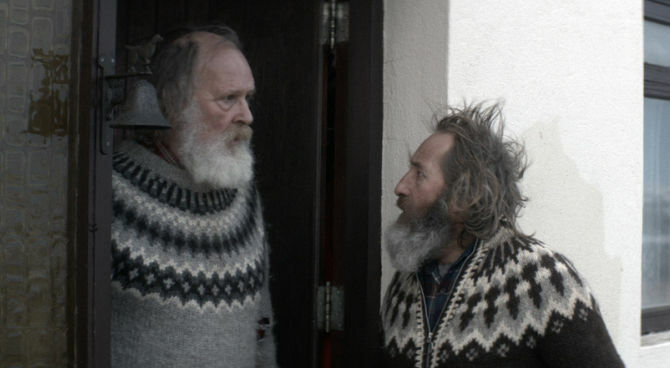 It’s about a pair of brothers who haven’t spoken in 40 years, both sheep farmers, and the wider (but typically Icelandically sparse) agrarian community as they deal with the implications of a potential scrapie epidemic in their flocks. There are indeed some comparisons with The Revenant because both are films about life on an icy frontier. 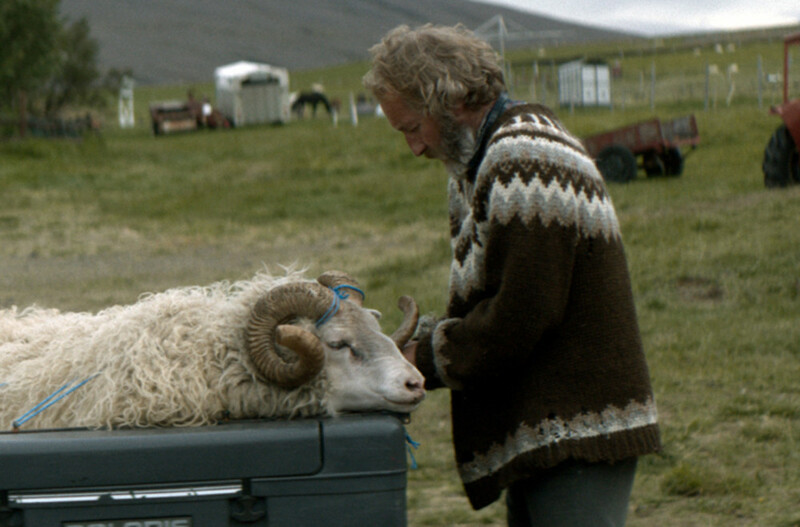 But whilst The Revenant is something of dry technical piece, Rams is entirely more engaging and human. It’s got a sense of humour, of quite a quirky and dark flavour, about the absurd and eccentric lifestyle that living in an isolated house surrounded by sheep must entail. The film knows exactly how daft it sounds for any audience member to be attending a film about sheep farming and doesn’t shy away from the strangeness inherent to the pursuit in itself and as subject matter. But it is so much more than a simple comedic affair. Rams honestly runs the gamut of human experience. The fear of an imminent flock cull hangs over the community and it is an emotional threat as well as an economic one. The film drifts seamlessly from the silly to the morose, and ultimately to the morbid. It is a film that recognises that things can be once silly and saddening. One of the virtues of films from obscure corners of the international film industry is that you get to see actors to whom you have never been exposed, and with that you can be free of preconceptions about the parts they will play. No Brad Pitt inevitably playing a near saintly saviour, no older De Niro playing a goofy grandpa. 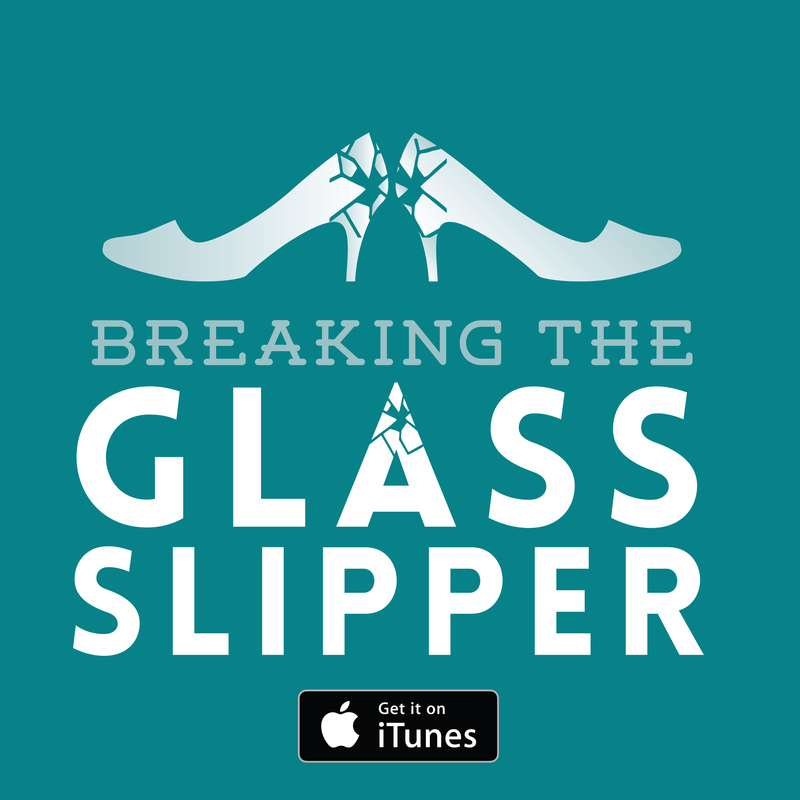 You approach the characters they depict with a fresh eye and with this comes a degree of unpredictability. I didn’t know where these characters would end up because they don’t have to adhere to the studio conventions that a big name must to maintain their brand, or have their arc swayed by the ego of a film star who must portray immaculate characters because they want this to reflect on themselves. Being introduced to Sigurður Sigurjónsson for the first time as protagonist Gummi was a treat. Gummi is a quiet and unassuming man but as the film proceeds you see that there is far more going on with him than being a humble shepherd. There’s a streak of pride, stubbornness and scheming that he steadily unveils as coexisting with his virtues. And then things are illuminated and enhanced further by his brother Kiddi, played by Theodór Júlíusson. The loud, boorish and drunken brother is the extroverted and obnoxious contrast to his brother. The film offers nothing as trite as showing that, deep down, they are not so different. Rather you see how their character flaws and demeanours have shaped each other by years of opposition. They have arisen from mutually defining environments by being in each other’s spheres. How often is it that you get to see a film that entertains and engages, and you genuinely don’t know quite how things will resolve? I always think the best drama (and comedy) emerges from the actions of individuals rather than circumstances. Though events are precipitated by the threat of an outbreak amongst the flocks, it is the way these two brothers face the crisis (and each other) that defines Rams. 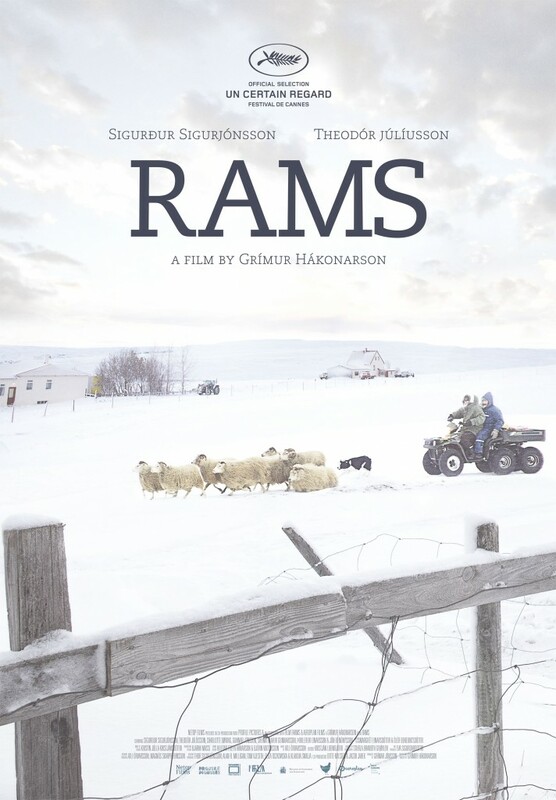 And yet, if you wanted a drama about the travails of sheep-farming in Iceland, I certainly feel better informed. If you wanted a comedy about strange beardy men doting on walking balls of wool all year round, you are damn well served. The film does not skimp on any quarter. It is a rare treat to find such an all-encompassing piece of cinema that you find it genuinely wanting for nothing. How often is it that you get to see a film that entertains and engages, and you genuinely don’t know quite how things will resolve? 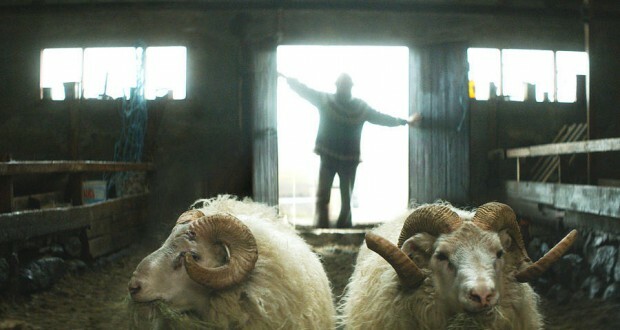 Rams is funny, moving, well-observed, terrifically acted, and refreshing. And it all centres on two brother fighting over some dopey sheep. Verdict: Go see Rams. It is the best sheep-based film I have ever seen!